At Northwood Financial Services CC, we encourage our clients to have a diversified portfolio of assets. 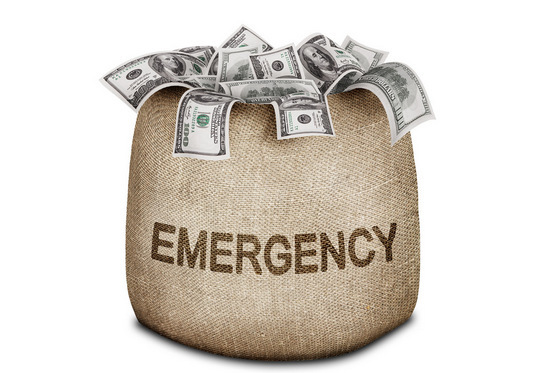 One of these assets we refer to as an Emergency Fund. An Emergency Fund, as the name suggests, is used to cover any expense that you haven’t budgeted for. Such as car or home repairs, holiday spending money, a deposit on your next property or even retrenchment. Recently one of our clients mentioned that he would prefer using his existing home loan if he needed emergency funding. He believed that withdrawing cash from his bond would be a better option for emergencies, simply because the interest rate on his bond is low, making this a cheap option. By definition, an emergency is unexpected and is likely to occur when you least need or want it. If he were to apply for a withdrawal from his home-loan, his bank could decide to process his application as though it were new. He would then have to meet certain criteria. One of which would be a credit check. It would be extremely unfortunate if his request was declined because the bank refused to grant him more credit. The alternative is to go to a money lender, the local Stokvel or online lending sites such as Wonga.com. The latter will not break your legs if you cannot repay the loan, so let’s look at costs. The maximum they will lend to a first-time applicant is R3 000. The interest on this amount is just over R570 per month. This isn’t very helpful if you need R50 000. You could visit one of the unsecured loan sites that offer up to R150 000. However, as the amount you want to borrow increases, so do the charges. Many banks will charge less for an unsecured loan, but the application process could take longer than you expect and, in an emergency, this would be extremely frustrating. We will never recommend the use of short-term money lenders. Any loans you apply for should be done through a registered bank that complies with legislation. Which also makes approaching your local furniture store for a line of credit, a big no no.